Hollow aids storytellers in the famous card game Miller’s Hollow by helping to manage player roles, events and sequences of the game. It remembers who the lovers are, who should die when, the player roles and much much more! Now you can focus on the good parts: engaging, collaborative storytelling. You’ll see that once you don’t have to worry about remembering all the little details, you’ll have more space for deeper, richer stories. 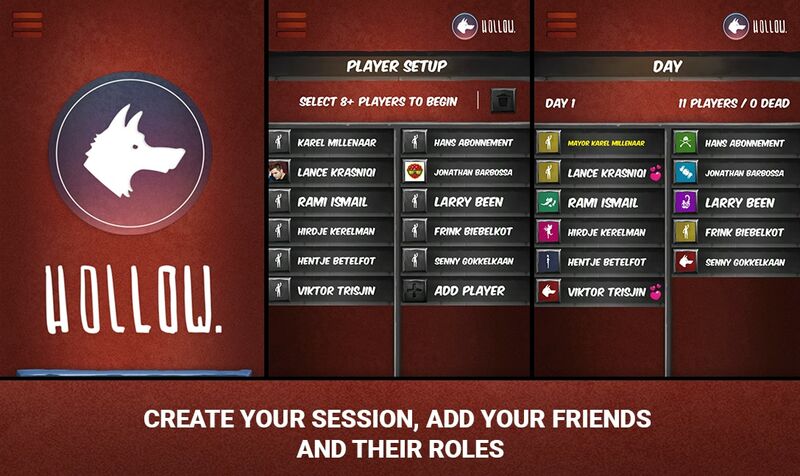 Add your friends, assign their roles and start playing! 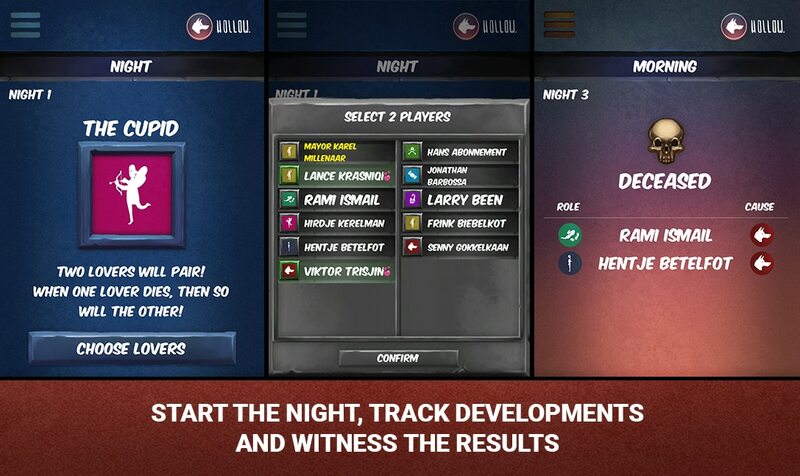 The app is available for all compatible Android devices.